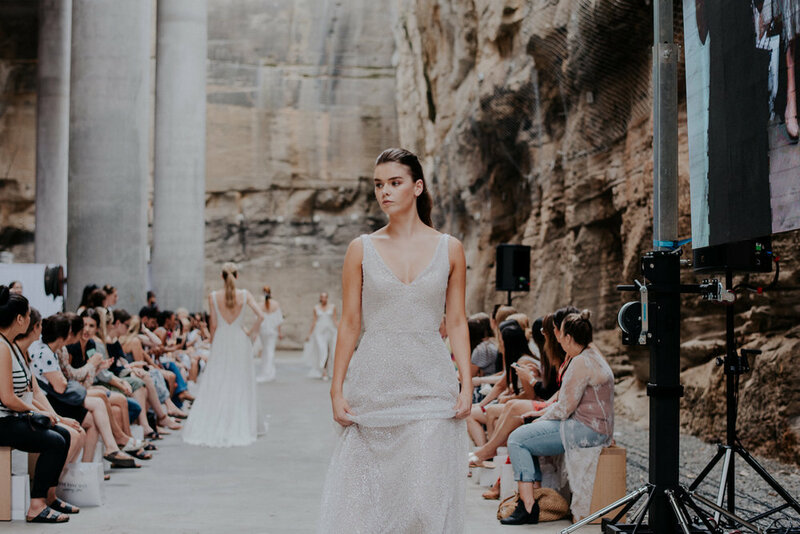 This year we had the honour of closing the runway of the 'One Fine Day' Show in Barangaroo, Sydney. 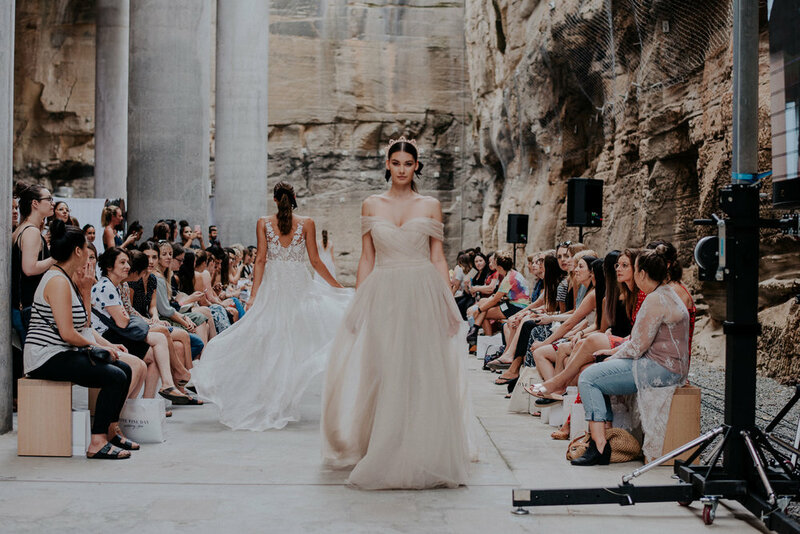 Our gowns 'Celine', 'Mila', 'Marella', 'Marley' and 'Autumn' - all from our most recent 'The One' Collection, - complete with our new personalised "Future Mrs" and "Bride To Be" sun hats were featured on the gorgeous sandstone runway. We would love for you to take a look at the gallery of images from the day. Above: The exquisite Moira Hughes Couture 'Autumn' bridal gown. Below: The 'Taylor' gown straight from the new capsule collection. New gown 'Mila' from the new capsule collection accessorised with Moira Hughes Couture personalised "Bride To Be" sunhat.